Living in a different country always gives you a lot of opportunities, but also poses you in a rather uncomfortable position of being far far out of your comfort zone. My internship in London is exactly this way. 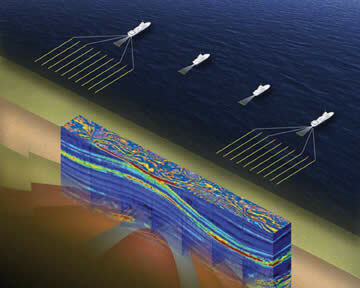 This internship with Schlumberger was about seismic interpolation. Although my internship with Fugro was just about the same topic, these two internships are nowhere the same. 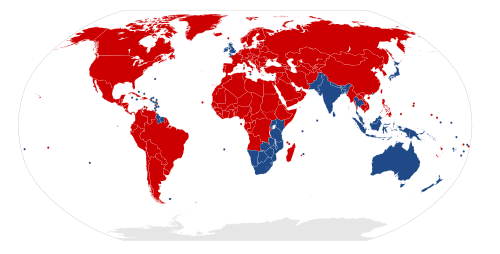 The United Kingdom and Norway are very different countries, ranging from people, attitude, over food to the landscape and weather. 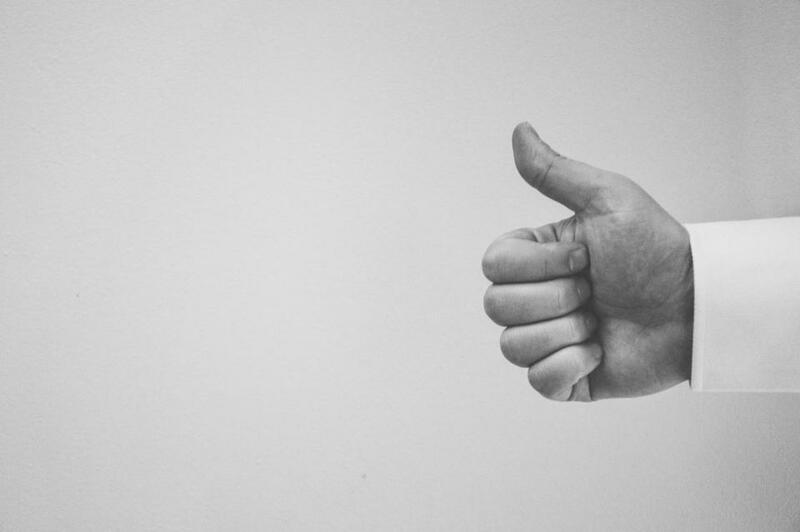 Just the same counts for the two companies, while Fugro was a small player in the fieldFugro was recently bought by CGG Veritas, Schlumberger and Western Geco are the big player in the seismic industry. There is a huge difference between university and working full tie. When you’re working 35 hours a week, you can go home in the evening and stop worrying about work. This takes quite some effort when you’re in university. You can always do more for university and I think it might be a habit worth starting to worry less and accomplish more. Now even before I started this internship, the contact to Schlumberger was very nice. We wrote a couple of e-mails that included my CV and and a rough direction where this internship might lead. Then a telephone conference was set up, which basically served as an interview. I admit that I was very nervous before that interview. I strolled around in my apartment like a tiger in its cage. The interview itself went reasonably well. It was quite technical, which I honestly wasn’t prepared for, so I basically did an ad hoc presentation about my bachelor thesis and the Common Reflection Surface over the phone. Quite interesting indeed. Then the internship started. Well, first I had to get there and that proved to be quite an odyssee. Unfortunately, I decided to travel with Easyjet and take luggage with me. This turned out to be very expensive. My tip at this point: Do not take any luggage when getting a cheap flight. There will be regrets! I had to pay more than my initial flight cost to take my second piece of luggage with me. When I arrived the contractor of Schlumberger that was supposed to collect me at the airport “wasn’t able to read their own writing” and turned up three hours late. I am not sure if those three hours were due to the reading and writing or due to the fact that I found an internet caf? where I could find out the number that I forgot to write down. In the hope to finally get to the appartment, I was once again disappointed, when I was brought to a hotel because my appartment wasn’t ready yet. Now don’t get me wrong here, I love staying in a hotel and the hotel I was brought to was particularly good, in my humble opinion. However, after that odyssee you really just want to get settled in your “new home” before you hit work in some fresh clothes. Fresh clothes? Did I mention that Easyjet did not take the piece of luggage I paid over 150 Euro for? Well, they didn’t. This was the piece of luggage, I had all my clothes in. Pro-tip I should have listened to earlier: Take a change of clothes in your hand luggage! Seriously. So the next day I got ready for work in my old clothes and went over to the Schlumberger House. It was very interesting and new to me. But I will just finish the story about my odyssee. When your luggage gets lost, a courier will bring it to you. I mentioned to the “Lost & Found” guy that I work at the airport, yet he didn’t bother telling me that Easyjet will only pay for overnight delivery. So my luggage arrived one day after I arrived at work and somehow magically took another two days to arrive just across the street of terminal on the airport premises. Really, it could just go up from here, right? Yes, it did go up! Way up. My first day was very busy, getting shown around the company, meeting new people and getting an introduction with all the interns. I started back in july, so I started with a considerable number of other summer interns. 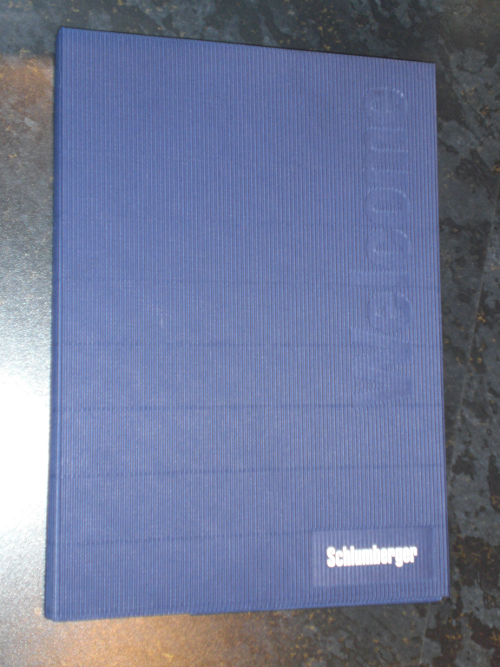 We sat in that big meeting room and the personell manager gave us a small introduction to Schlumberger and then handed us our personal folder with all the information and policies necessary. What I learned at this point, was that the offer letter that was sent to me wasn’t a contract. Actually I signed the contract on my first day, which now makes a lot of sense but it took me a bit to get that. Also he walked us through all the policies we have to comply with and Schlumberger does have a policy for everything. So I am guessing those were the most important ones. Then someone from IT came up and had a data security introduction with me and set up my work laptop. This was particularly interesting because I had to set up several security questions from which I figured they were not really set up for interns or “young people”. Why? Well I never owned a car and one of the selections for questions almost exclusively cared about the brand of car or color of your first car. Eventually I found one I could answer, but I was slightly amused by just finding a question I could actually answer and remember. Shortly after I was provided with a Matlab license and ready to go. It all started to unfold before me. Day to day new functions and options were introduced and I could play around with them. Schlumberger has a huge network and you get a lot of information over the intranet. There are mailinglists for questions, a wikipedia, something like linkedin and so on. There is a company-wide news column on the front page of the intranet and of course there are a lot of management and productivity tools. When I discovered the mailing lists, I did register with the geology and goephysics list, to get a grasp what is going on and what kind of problems are posed on other employees. 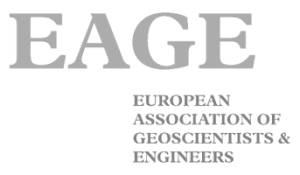 What’s especially interesting are the Geoseminars, which are talks organised by different people about a special topic that you could join from all across the country. This way I got my knowledge about land seismics up to level and when the Higgs boson was discovered our local particle physicist held a presentation about the Higgs and the scientific implications. Additionally, you hear a lot about the newest developments in your field, like the Isometrix technologyIsometrix – Schlumberger that was launched by Schlumberer this year. As an intern you have a couple more benefits like a facebook group for further organization purposes, in this group you will also find the recruiters that might just be your way from an internship to a job with Schlumberger. It’s a lovely culture to grow in. Then we started to organise the path to take for my job. In hindsight this was the best setting I could come into, because I was an intern and just a Masters student, however, I was the expert for this particular method. I got a real say in the roadmap but still there was (almost) no question that could not be asked. My team took a real interest in my work and helped me a lot with discussions. This is an environment I would wish for everyone to work in – very productive. I was always a bit afraid of fulltime work, since university was already very stressfull but there are some benefits to fixed working hours. This leaves the little time you have after and before work, completely up to you. First thing I did, was register with a local gym and keep up my exercise habit. I picked up running and got lost really bad a few times but fortunately found my way back all the time. Thankfully, my manager said I could handle the starting time a bit more flexible, so when I was running late every now and then I could just make up for it with flexi-hours. Also, I started writing regularly and picked up some other good habits on the way, like waking up early around 6 am. My personal work environment was very nice. I was integrated in team meetings and could ask anyone for help if the need arose. My personal manager found a good balance between micro- and macromanagement. I had a lot of freedom yet enough help and guidance to keep my task on track. Our approach was to implement the easiest version of something and then adding to it, which proved to be a very valuable lesson in approaching a problem in a very structurized way. It was also a good environment in terms of appreciation, although I was just an intern I felt appreciated for what I know, do and contribute. The response cycle was very quick, so everytime I got work done, I got feedback for the progress and this is something university completely lacks. While the feedback frequency was about weekly to biweekly in Schlumberger in university it is at the end of every semester and your hard work for a course is judged on one single exam performance. About half way through my internship in mid august there was the annual intern day held in Birmingham. Although I would criticize the choice of location, the intern day itself was very nice. First of all it was a business trip so the expenses were paid by Schlumberger and then it was a day packed with information that was really helpful in giving an outlook if you want to stay with Schlumberger. The intern day started with some introduction of the recruiting team, they also gave us some interesting information about the possible and very fluid career choices you can make within Schlumberger. They really nourish a culture of flexibility and you can always switch jobs to an entirely different branch. Also there are two possible career paths you might consider for yourself to climb up the ladder. On the one side there is the management path where your degree of responsibility increases with growing experience in Schlumberger, which is a very common path to take. But there is also the opportunity to take up a so called technical carreer, which would reflect the degree of technical expertise and renommee you gained in the field you’re in. This might put you in a funny situation where a technical expert earns more money than his superior. They also gave the opportunity for every center to give a presentation about their location. They ranged from very entertaining to rather informative. In the end there was a barstyle quiz where we gathered in groups and tried to solve some questions. This was a lot of fun but is somehow spoiled when you realize some people are using Dr. Google. There is a very easy trick to spot those: Ask some text questions – 100%; ask what some pictures are showing – 0%. Well, we gave it our best try but in the end another team was better. After this we had a woman tell us all about field work, which was interesting at first but got a bit long in the end. I already know that field work would not be my kind of work, I mean the pay is great but the schedule is a bit antisocial. It was already well into the preveningThe name for the ambiguous period of time between afternoon and evening. Starts 4:00 PM. Sheldon Cooper defining the word prevening – Youtube and the questions did not give me a lot of new insights. In the final weeks things got a bit more stressful, for I wanted to present some good work. There was a final presentation that was unexpectedly well-frequented. I enjoyed the presentation a lot, I was proud of my work that I finished within this time and also I had some presentations prior to this that gave me some experience in presenting my work in a big company. Up to this I wasn’t all too sure how CRS was perceived, but this interest in those presentations gave me the impression that this method was something people wanted to learn about. This internship was very insightful. I managed to maintain my relationship to Anna and gained a lot of experience in many different things. I would recommend an internship with Schlumberger to anyone in a field they cover. You may have heard about them the first time here, but they are a Fortune500 company and leader in the seismic field. But remember that the internship experience is all about what you make of it. Posted in Jobsearch, Personal Journey and tagged internship, London, Schlumberger, UK. I work for Schlumberger, too. I enjoyed reading the story about your internship. Seeing the experience through the eyes of the individual is always enlightening because some things that are important to you (the initial hotel situation, the long field presentation, etc.) may not be obvious to the rest of us. Thank you for sharing. I’m glad it was a positive experience. Schlumberger is a wonderful company to work for. I bleed blue. I hope you will join us again! 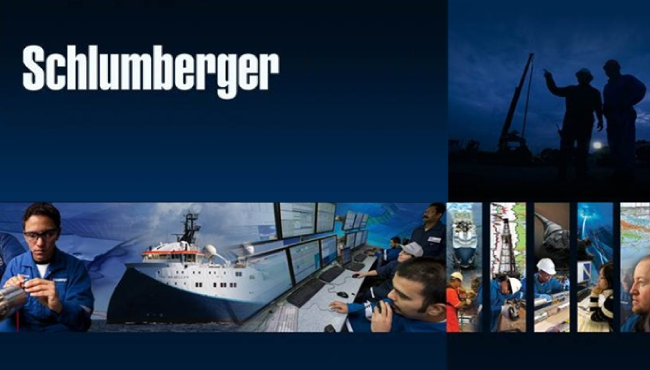 Schlumberger is my dream company. I want to be an intern there, too. What are the qualifications for this? Why do you think they chose you?